Cleverly designed bottom slims your middle with a flattering v-shaped belt. A very comfortable full coverage bottom. Another original Blue Sky design. Stylish V-Front design gives you that long lean look we work so hard for. Very slimming silhouette. The soft waistband makes this one of the most comfortable bottoms to wear. Best Cloth Diaper – All the cons of Cloth Diapers has been eliminated! 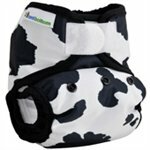 Easy to use: Diaper Shell Fits Birth – 35+ lbs & Inserts Snap-in and out! Quality Cloth Diaper – Made In The USA! The perfect pool party swimsuit bottom. High waist with tummy control waistband to give you the flattering look you’ve been looking for! Paired with any of our tankini tops it is the perfect alternative to a one piece. As with all of our bottoms at Blue Sky, the bottom is fully lined. High quality fabrics and workmanship and proudly Made in the USA! This full coverage bottom hides all your little imperfections. Soft non elastic waist band come right below your belly offering fully lined front and rear coverage. A great new versatile option for those who like to have a high coverage yet fashionable bottom. The soft lycra band allows you to choose to have it all the way up for our highest coverage, or folded down for more moderate coverage. Fully lined using High quality fabrics and proudly Made in the USA! This customer favorite is a must have for your swimwear wardrobe. Available in all solids and many prints. A great new versatile option for those who like to have a high coverage bottom at times. The soft lycra band allows you to choose to have it all the way up for our highest coverage, or folded down for more moderate coverage, and the soft waistband gives a very slimming fit.